The distance around the world remains almost 25,000 miles, but it doesn’t always feel that far today. The Internet, ever-evolving technologies, advances in travel and continuous immigration and emigration are making connections with once far-flung cultures a much more common reality. Marcheta Evans has embraced that “smaller world” mind-set and is emphasizing a need for the counseling profession to focus on globalization and international collaboration. Midway through her term as president of the American Counseling Association, Evans says she is happy to witness the wheels rolling in that direction. Counseling Today recently spoke with four ACA members who have a passion for bridging counseling work across countries and cultures. Cirecie West-Olatunji knows introductory counseling textbooks include tips such as sitting squarely, leaning forward toward your clients, looking clients in the eye and asking them to tell you more about a particular problem, challenge or situation. But she also knows important elements those texts don’t include — things such as dancing, singing and storytelling, which are prominent coping mechanisms for certain cultures and communities. In 2010 alone, West-Olatunji traveled to Singapore, the Philippines, Romania, China and India. The two main themes of her work during these travels were disaster counseling training and school counselor training. 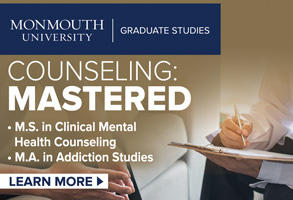 As counseling attempts to gain a foothold in many countries, it often finds itself competing with psychology and social work. In these instances, West-Olatunji explains, school counseling frequently offers an opening specific to the field of counseling. “For the most part, counseling is being advanced [internationally] within the track of school counseling,” she says. West-Olatunji travels to Singapore once or twice per year to meet with school counselors, principals and even parents. Solution-focused school counseling and developing cultural competence are always hot topics, she says, as are many issues familiar to schools in the United States, including bullying, underperformance and interpersonal conflicts. School counselors in Singapore often ask her for help in reaching out to parents, dealing with family issues and addressing psychological symptoms that surface in the school setting. Parents, on the other hand, often want to know what makes up good parenting, West-Olatunji says. “Many of the parents ask about how to manage mainstream perceptions of good parenting versus the parenting that they’re doing, which stems from their own experiences.” She answers those questions with talk about outcomes. If parents want their children to be autonomous, for example, their parenting style might differ from that of parents who want their children to be interdependent. West-Olatunji’s most recent travels to Thailand and China were focused on disaster-response training both with school and community mental health counselors. In November, she also led an ACA-sponsored People to People delegation in India with a focus on disaster mental health counseling. The delegation met with senior government disaster response officials, heads of psychiatric hospitals and leaders in community-based agencies, such as UNICEF and Save the Children, in the cities of Delhi and Jaipur. “Mostly, they want to know what to do when a disaster hits,” she says. “They want to be able to, and are expected to, respond. They want to know what some of the best practices are in responding to disasters.” West-Olatunji distributed literature about crisis and disaster counseling, talked about the skills required to work on interdisciplinary teams and shared the model of culture-centered disaster counseling that she has created. Yegan Pillay points to the recent mining disaster in Chile as a reason U.S. counselors need to think internationally. In the effort to rescue the 33 miners trapped underground, Chile looked to the United States and other nations for help, he says. 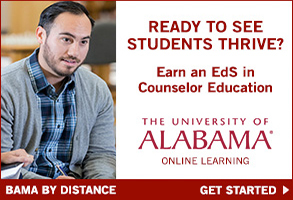 In a world that’s constantly getting smaller, that’s a sign to counselors that they should be prepared to offer assistance as well, says Pillay, an assistant professor in the Department of Counseling and Higher Education at Ohio University in Athens. “It’s important for us in the counseling profession to start thinking more broadly. We will be called upon because the U.S. is seen as the global leader,” says Pillay, who chairs ACA’s International Committee. “We’re not adequately prepared at this stage to make a significant impact globally, nor are we as an organization having discourse about advancing the global counseling agenda.” With that as a motivation, Pillay is hard at work within the International Committee trying to expand the global reach and abilities of ACA and U.S. counselors. For the past few years, the committee has been working to increase awareness of the counseling discipline internationally, Pillay says, because “counseling is in the shadows of psychology in many parts of the world.” One of the committee’s goals is to enhance collaborations with ACA divisions and other ACA committees that have a global agenda. “The objective is to broaden the scope of the globalization of counseling and then to use as many potential resources within ACA and its affiliates as possible,” he says. Another goal is to better utilize the ACA website, perhaps to develop an online international events calendar in the future. At the upcoming ACA Annual Conference & Exposition in New Orleans, the International Committee is coordinating a panel of experts to talk about ACA’s global agenda. The panel discussion will be held March 26 at 2 p.m. “We hope that what comes out of that would be a white paper that would guide the ACA leadership with regard to the role ACA can play in the advancement of counseling internationally,” Pillay says. Also planned for the conference (March 25 at 5 p.m.) is a panel of international students who will speak about counseling in their home countries as well as their counseling experiences in the United States. “The objective is to harness the energy of emerging mental health professionals,” says Pillay, adding that counselor educators and practitioners can learn through this forum how to work with international students and become more knowledgeable about issues pertinent to the international community. Pillay, who grew up in South Africa before coming to the United States to study counseling, directs the HIV/AIDS in Africa program at Ohio University. Each year, he takes a group of 15 to 20 students for approximately six weeks of service in Africa. Pillay points out that the number of counseling students involved has increased since he’s been involved in the program. The groups have previously traveled to Botswana each year but will be going to South Africa this coming summer. The students spend the spring quarter at Ohio University in an orientation program researching the nongovernmental organizations (NGOs) with which they’ll be working and the NGOs’ role in the eradication and treatment of HIV/AIDS. On past trips, the students’ first week in Africa was spent role-playing with university faculty and researchers from the University of Botswana. This coming summer, the students will do the same with personnel from Nelson Mandela University in South Africa. The students then spend three to four weeks with one of the NGOs whose work focuses on those affected by or infected with HIV/AIDS, such as a residential facility for orphaned children, hospice-type organizations or crisis counseling centers. The overall goal is to develop counselors who are multiculturally competent, Pillay says, and these trips go far in showing the students a unique environment, taking them outside of their comfort zones and exposing them to strategies they might use in the future. “It provides a different vantage point than they would otherwise be exposed to,” he says. On one of the trips, two African American students told Pillay through tear-filled eyes that it marked the first time they truly felt as though they belonged. On the flip side, Pillay says, Caucasian students learn firsthand what it feels like to be in the minority. The students’ counseling skills are unquestionably strengthened through the work they do on the trips, Pillay says, but just as important is the effect the experience has on their empathy. “When they go into the professional world and see clients who might be different for many reasons, I believe they will be more sensitive to understanding that experience,” Pillay says. Fred Bemak has worked as a counselor in 36 countries — emphasis on worked, not simply traveled to or through. With a passion for international counseling, Bemak, professor and director of the Diversity Research in Action Center at George Mason University, founded Counselors Without Borders in 2005. The catalyst for the organization’s creation, Bemak says, was witnessing the great underserved need for culturally responsive counseling in the Gulf Coast region in the months after Hurricane Katrina. Bemak helped school staff members work through their own issues, while also teaching them how to effectively assist the traumatized children. “People had an intuitive sense, but they didn’t have the counseling skills,” he says. For the past two summers, Bemak has also traveled to Uganda to conduct training for staff members of Invisible Children, an organization that aims both to assist children affected by war and to stop the use of child soldiers. With so many children traumatized by civil war, the staff struggles to deal with the children’s issues, he says. Through a combination of classroom and field training, Bemak trains staff members in trauma counseling, both supervising them and modeling techniques for them. Daya Singh Sandhu, distinguished professor of research and former chair of the Department of Educational and Counseling Psychology at the University of Louisville, spent the first five months of 2010 working on mental health issues in India. As a Fulbright-Nehru senior research scholar, Sandhu traveled to the country where he grew up to survey suicide ideations there. The title of Sandhu’s project was “The Effects of Cross-Cultural Worldviews and Coping Response Styles on Suicidal Ideations: A Comparative Study of Gender and Cultural Correlates of Risk Factors and Reasons for Living Among Americans, Asian Indians and Indian College Students.” In India, suicide rates have increased nearly 60 percent during the past 35 years, reaching 10.8 deaths per 100,000 people. Between 2006 and 2008, Sandhu says more than 16,000 college students ages 19 to 24 died by suicide. He traveled to India, he says, to “find out what’s going on” by talking to college students. Sandhu, the immediate past president of AMCD, conducted focus groups with roughly eight students at a time. One of the students cried, Sandhu says, because she was haunted by the suicides of two girls involved in a lesbian relationship whose parents wanted them to marry men. Sandhu says his study led to many other stories involving lovesick students, the daunting aspect of forced marriages and intense academic pressure. After meeting with the students, Sandhu says it became obvious that people are experiencing significant multiple stressors in their lives because of rapid economic and social changes in India. There is a shortage of mental health professionals available in India to those in need, according to Sandhu. He estimates that 95 percent of India’s universities lack counseling centers, and the number of private mental health practitioners is very low. Those actually able to locate a professional must deal with the prevailing stigma against getting help for mental health issues, Sandhu says. “People will think you are crazy,” he explains, adding that if the community finds out the person is seeking counseling, it can severely damage his or her chances of getting married and obtaining a good job. While conducting research in India, Sandhu also attempted to make inroads in advancing mental health for the nation as a whole. In May, with the help of Guru Nanak Dev University and the U.S.-India Educational Foundation, New Delhi, Sandhu convened a meeting of mental health scholars from various areas of the country, and the group decided to launch the Association of Mental Health Counselors. As the founding executive director, Sandhu’s hope is that the association will prove successful in increasing the availability of counseling centers and mental health professionals, which now stands at one psychiatrist for every 400,000 people in India. The association has already opened its first counseling center in Punjab, and another is set to open at Guru Nanak Dev University in early 2011. Another accomplishment was the creation of a postgraduate degree program in mental health counseling at Guru Nanak Dev. Thanks in large part to Sandhu’s efforts, the program began its inaugural semester this past July. The program is the first of its kind in India, but according to Sandhu, at least three other universities are planning to begin offering similar degrees this year. Anyone who has flown on an airplane and listened to the flight attendant before takeoff has been cautioned what to do in the event the oxygen masks fall from the ceiling: Put on your own mask first before trying to help someone else. Counselor wellness experts say that idea has mileage on the ground, too. Although most counselors are familiar with self-care — even preaching the concept religiously to clients — many find it a challenge to put the concept into practice in their own lives. Wellness experts say as life gets busy, counselors may tend to assume that they can, or even should, handle problems and stress on their own. But, these experts caution, counselors who ignore their own needs will find their outlook on the profession going quickly downhill. 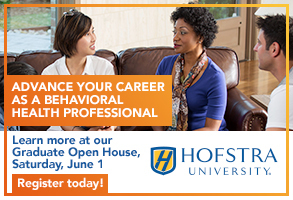 Leslie Kooyman, an assistant professor in the Counseling and Educational Leadership Department at Montclair State University, says mild feelings of resentment toward certain clients or feeling burdened by certain clients can be a subtle indicator that something isn’t right. Other indicators, Kooyman says, particularly for experienced counselors, are regularly feeling lost in terms of what direction to take with clients and sloppy logistics, such as starting sessions late or allowing sessions to go past their scheduled end time. Unexpected events can throw a schedule off course, but that should be the exception, not the rule, says Kooyman, a member of ACA. “We all have good days and bad days, good sessions and bad sessions. You’re not always 100 percent, certainly.” But, he cautions, a pattern of such issues might signal the beginning of burnout. One of the ways Rankin keeps her wellness in check is by participating in a peer support group with a handful of other counselors. The group meets at someone’s office or goes out for lunch or coffee roughly once every other week, although group members meet more frequently when they feel the need. They are careful to go someplace neutral so whoever is having the worst week can get away from his or her work environment, Rankin says. In one instance, a counselor in the group was experiencing explosive growth in her practice and was seeing between 40 and 50 clients per week. Some of these clients were outside of the counselor’s specialty and were not as enjoyable for her to work with. The counselor found herself exhausted and with precious little time left over for herself or her family. “When we as a group confronted her, she said it had happened before she knew it and [she] didn’t know how to get out of it,” Rankin says. “Being counselors, we probed into why she was ’suddenly’ overwhelmed with clients she did not want and was constantly working. Like our clients, she used every excuse in the book, including the very real ’If I don’t work, I don’t get paid’ argument.” The group helped her brainstorm options and potential solutions, and after she chose a few, the group gave her deadlines and held her accountable. When Lawson worked as a counselor in an inpatient setting, he remembers rehashing each day in his mind during the car ride home from work. He would go over the clients he had seen, what he had done well and the things that hadn’t worked. “I was literally taking it home with me,” Lawson recalls. Kooyman advocates integrating relaxing activities such as yoga, deep breathing and listening to music after sessions but says counselors should protect their well-being in session, too. “Wellness is also about being able to take care of yourself in the moment,” he says, “and that’s a little more challenging.” He provides the example of counselors being honest about the days they’re available to be in the office instead of stretching to accommodate a particular client. Another example is setting limits when negotiating fees with clients. Kooyman, who worked in private practice for 10 years, did pro bono work but was also realistic about having to make a living. At times, he says, counselors can be too client-centered and end up giving more than they should. “If we’re not really comfortable with what we’ve decided, it’s going to eat away at us,” he says. Keeping up with the literature in the field can also promote wellness, Lawson says. When counselors read the latest research and understand new aspects of a concept or problem, it can remind them to view clients as people rather than the problems they represent. Reading the professional literature can also help counselors guard against taking cookie-cutter approaches with clients, Lawson says. Also a proponent of journaling, Lawson says research has shown that people who journal on a regular basis are less susceptible to illness. Rankin points to research showing that personal therapy and/or clinical supervision can help counselors stay happy and healthy in their work. However, she says, many supervisors are unaware of the importance of self-care, and many counselors don’t seek supervision beyond their internships. “For example, many counselors I have worked with, as well as counselors I have had as clients, do not understand the difference between emotional attachment and empathy. Learning the difference while in clinical supervision would have decreased their risk of compassion fatigue and burnout. Those that were my clients may not have needed therapy had they learned the difference.” If clinical supervision is not an option, Rankin recommends finding a peer consultation group. If wellness is ingrained in the foundation of counseling, why doesn’t self-care come more naturally to counselors? First and foremost, Lawson says, people who end up in the helping professions are naturally inclined to take care of others. Plus counseling, by design, is a one-way caring relationship. At times, Lawson says, counselors let that work mentality “leak over” into the rest of their lives, allowing every relationship to become a caretaking relationship. Having a supportive environment can help immensely in improving counselor wellness, says Lawson, who recommends that counselors talk with colleagues about their personal needs and struggles and solicit support for the changes they are trying to make. At Virginia Tech, Lawson came up with a rule to support wellness and life balance: No shop talk over meals. “It’s a small thing, but it can make a huge difference in a work setting,” he says. “But you need someone else to buy in as well. It’s awfully hard to do alone.” Start by finding one person to make changes with, but don’t be surprised if two people turn into a trio and then a culture of wellness catches on, he says. A foundation for wellness should be built before counselors even enter into their professional lives, Lawson says. “In counselor education, we don’t do as good of a job teaching about risks and how to avoid them or manage them if you bump into them,” says Lawson, who makes an extra effort to talk with his students about wellness in the hopes the message will stay with them when they become professionals. Burnout, vicarious traumatization, compassion fatigue and impairment are terms often mentioned when discussing counselor wellness and self-care. But what distinguishes one from the other? Counseling Today asked counselor wellness experts to weigh in. Burnout: Gerard Lawson describes burnout as a slow degradation of a counselor’s ability to empathize with clients over time. Elizabeth Venart says burnout often arises from an accumulation of work-related stress, resulting in feelings of hopelessness and helplessness. “It is typically created or exacerbated by the nature of the work and workplace. 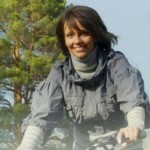 As a result, a change in work environment can dramatically improve one’s experience of burnout,” she says. Vicarious traumatization: The symptoms of vicarious traumatization, or secondary traumatic stress, are much the same as those associated with post-traumatic stress disorder, Sandra Rankin says. Counselors can acquire vicarious traumatization in as little as one interaction when they are affected by the trauma they hear about through clients, Lawson says. Impairment: Venart says the ACA Task Force on Counselor Wellness and Impairment found that impairment “occurs when there is a significant negative impact on a counselor’s professional functioning which compromises client care or poses the potential for harm to the client.” Lawson adds that impairment, which doesn’t always equate to unethical behavior, can lead counselors to tend to their own issues at the expense of clients’ issue. For example, a counselor with grief issues might steer clients away from their own grief or loss issues because the counselor can’t handle talking about them. When counselors are isolated, whether working in rural areas or working as sole private practitioners, maintaining wellness can pose an even bigger challenge. Without other colleagues to learn from, vent with or lean on for support, stress is more likely to build unimpeded. Experts say finding a support system, whether through formal supervision or an informal network of other professionals to meet with for consultation and camaraderie, is vital. Technology can also help bridge the gap. “With the Internet, e-mail, Facebook and the phone, you can still connect with other people,” says Sandra Rankin, who works in private practice in Austin, Texas. 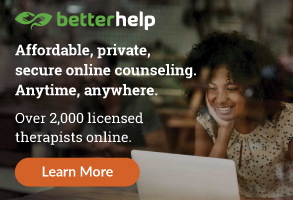 Adds Elizabeth Venart, a private practitioner in Ambler, Pa.: “Post questions and participate in online forums for counselors through sites like LinkedIn and Psychology Today. Join interest networks (electronic mailing lists) through ACA where you can connect with counselors in other geographical areas who share your professional interests.” Find out more about ACA’s interest networks by scrolling to the bottom of counseling.org and clicking on “Interest Networks” under the “Get Involved” tab. Counselors also recommend checking out local, state, regional and national associations for networking possibilities and attending professional conferences to meet other helping professionals. Leslie Kooyman, an assistant professor at Montclair State University, says counselors also might want to consider consulting. When he worked in private practice, Kooyman split his time between counseling clients and doing consulting work with nonprofit organizations and school systems. Not only does consulting offer a team of people with which to work, he says, but it can also help generate revenue. Giving back to the community" is much more than a catchphrase within ACA. As I look back through the years, I am amazed at the volunteerism and generosity of ACA members. Your strong desire to lend a hand to those in need — wherever they may be — is exemplary. In fact, it is truly one of the reasons that I enjoy my job as your executive director. This past year at the ACA Conference & Exposition in Pittsburgh, the Association for Multicultural Counseling and Development, an ACA division, organized a very successful community service day that provided counseling services to Pittsburgh’s diverse communities. AMCD launched this service day concept at the 2009 ACA Conference in Charlotte, N.C., where it reached out to local at-risk adolescents to address issues such as anger, gangs and low self-esteem. Also in Charlotte, Counselors for Social Justice, another ACA division, donated $1,000 to Pat’s Place Children’s Advocacy Center, an organization that connects children who have been sexually abused to area resources. And yet another ACA division, the Counseling Association for Humanistic Education and Development, which has sponsored the Empty Plate Project for many years, collected donations for A Children’s Place, a Charlotte charity that provides support to homeless children. In addition to these incredible acts of kindness in support of our host cities, conference attendees have developed special programs to address multicultural and social justice leadership competencies that contribute to exemplary practice in dealing with the many injustices that exist in our world. In March, ACA returns to New Orleans, a city that has surely experienced its share of agony, grief, injustice and incredible loss. Once again, ACA will reach out to the local population to lend its services wherever they are needed — at homeless shelters, in community cleanup and revitalization projects, at social service agencies and in school recovery efforts. The experience will not end after we complete our outreach to the community, however. When conference attendees return to the Ernest N. Morial Convention Center, they will be invited to participate in afternoon workshops on topics of economic and social injustice, marginalized populations and other issues that impact those of you who have dedicated your lives to the helping professions. If you are attending the ACA Conference, I encourage you to join your colleagues for the 2011 ACA New Orleans Project: Giving Back to the Community. All conference attendees are invited! Details had yet to be finalized at press time, but the community outreach will occur the morning of Thursday, March 24, and the program portion will take place that afternoon. ACA members have much to offer communities, whether during the ACA Conference or at other times. Members volunteered their time offering disaster mental health services after Hurricanes Katrina and Rita and have been involved in other more recent disaster relief efforts as well. For example, within days of the tragic earthquake in Haiti, ACA developed and posted a 48-minute podcast to help Haitian Americans cope with the disaster that was unfolding in their homeland, set up donation programs through the ACA Foundation and consulted with the Red Cross. Speaking of disaster mental health, here’s another sign that volunteerism is surging through the ACA membership. The ACA/American Red Cross Foundations of Disaster Mental Health Training course, which ACA offers at no cost to conference attendees, was completely filled in November — five months before the conference. Clearly, growing numbers of counseling professionals are equipping themselves with the skills they need to be ready for the next disaster, and they are willing to leave their families temporarily, take time away from work and go wherever their services are in high demand. These are just a few examples of the incredible spirit of volunteerism that drives professional counselors to offer their services to those in need — anywhere, anytime. No, "giving back to the community" is no longer just a feel-good catchphrase at ACA. It has caught on and taken a firm hold. And with the help of all of you, it will always remain an integral part of the counseling profession and of ACA. For additional information on the 2011 ACA New Orleans Project: Giving Back to the Community and the schedule of events, please e-mail Tonya Hammer at tonya.hammer@gmail.com, Jennifer Curry at jcurry@lsu.edu or Michael D’Andrea at michael.dandrea@gmail.com. I also wanted to express my thanks to those of you who responded to my December column. Your thoughts, ideas and suggestions about the future of the profession certainly helped to stimulate discussion between me and the professional staff of ACA. How well is your wheel rolling? What is a resolution? When you think about it, what does it really mean to you? As we begin another new year, I have been reflecting on the many resolutions I have made in past years. They have centered on my physical, mental and spiritual health, my family, how I viewed my job, my leadership role and on and on. The list can seem immeasurable, yet I find myself once again looking at what is ahead of me and contemplating what goals I would like to accomplish for 2011. I must admit, they all seem to have a familiar ring to them from previous years. What about this year will be different from past years? Will I be more successful with some of my health goals? Will I get up every morning, work out and make time for my meditation? I am sure you are asking yourself similar questions as you think about the year ahead. The cover story in this issue of Counseling Today focuses on how we take care of ourselves as professional counselors. The first thought that came to my mind was, do we take care of ourselves? So many times we find ourselves taking care of the needs and problems of others. Do we heed our own advice and take care of ourselves? I know you are aware of the importance of taking care of yourself. After all, this is what we tell our clients and our students to do. But do you honestly make this a priority as you go about your daily life? Rarely do people come to see us because their lives are filled with an enormous amount of joy and bliss. Typically, they are coming to us because they need support for a problem or an issue in their life. When you consistently expend energy assisting students or clients in resolving their issues, you must find a way to replenish yourself. As a counselor educator, I constantly tell my students they are the most important tool they are taking into the counseling relationship. If they are not functioning at full capacity, it will have a direct impact on the quality of services they offer their students or clients. Over the years, the Wheel of Wellness, developed by Melvin Witmer, Thomas Sweeney and Jane Myers in 1998, has continued to impress me as a model not only for our clients and students, but also for us as professional counselors. I know the authors have continued to evolve their model, but the version that resonates with me most personally is the one that places spirituality at the center of the wheel, with the spokes representing self-care, stress management, gender identity, cultural identity and sense of worth. Also included are sense of control, realistic beliefs, emotional awareness and coping, problem solving and creativity, sense of humor, nutrition and exercise. If you were to take a personal inventory of your life right now, how well rounded would your wheel be? If you look at the elementary concept of a wheel, you know that it must be balanced all the way around for it to roll effectively. How do you see your wheel rolling? All of the areas must receive adequate attention for you to be properly nourished and effective in your job. Upon investigating further, I discovered these authors defined wellness in a 2000 Journal of Counseling & Development article as a "way of life oriented toward optimal health and well-being in which body, mind and spirit are integrated by the individual to live more fully within the human and natural community." This may seem a little too touchy-feely for some, but when I ponder the life and well-being of professional counselors, this definition is congruent with my philosophy of living. Whether you agree or not, I encourage you to consider how well you are taking care of yourself. If you find you are lacking in any area, I urge you to do whatever it takes to make a change. If you have found that resolutions work for you, go for it. If not, find a model that is effective for you. I attended a seminar once where the presenter gave me a "tuit." I looked at it and wondered, "What is this?" After a brief explanation, the presenter informed us that we now possessed "a round tuit," which basically meant there were no further excuses for not getting things done. You don’t have to wait until you get around to it. I am giving you "a round tuit" to focus on yourself right now! Picture a fifth-grade classroom. One little boy will not sit still. He constantly interrupts the teacher and gets out of his chair during the lesson. Meanwhile, a little girl sits in the back row and gazes out the window. Ensnared in a daydream, she also has missed the lesson. Eventually, the school’s counselor is likely to send the boy for evaluation, and his family will begin working with his learning needs. The girl, on the other hand, is likely to be passed on to sixth grade with low academic marks and even lower self-esteem. Both children have attention-deficit/hyperactivity disorder (ADHD), but because it is the boy’s behavior that presents as a “problem,” only he will receive treatment. Littman has found that women with undiagnosed ADHD experience difficult symptoms that may push them toward counseling during certain life stages. “The first [stage] is when they go to college, leaving home and the extreme structure that’s been imposed by a parent or two where everything was figured out for them — laundry, food, etc. Then they go and try to take on those roles themselves and try to fill in a blank slate of a day for themselves. The first year of college for most kids with ADHD is almost universally a disaster: sleeping, partying, drinking. “If they’re able to get through that piece of it, then you get to the second [stage]. … Life becomes more difficult when you have a significant other [and you’re] trying to accommodate their needs when you’re not even sure of your own. Girls and women tend to focus on what the other person’s needs are, and their own needs are not addressed, not articulated. They cope like that for a while, but when you get into them having a house or an apartment, the difference is exponential. In the 28 years since her own informal ADHD diagnosis, Fellman’s counseling career has focused on helping adults find meaningful work, with an emphasis on ADHD support. “I live and breathe the topic. In fact, I’m in graduate school again going for my doctorate because I’m not finished yet,” she says. Her research is focusing on the validity of Myers-Briggs Type Indicator results for women with ADHD and how the test, and other ADHD stereotypes, might lead counselors to reach inaccurate conclusions about their clients. Treatment itself becomes about reframing. “It’s not bad wiring. It’s just different from the linear thinkers of the world,” Littman says. “There’s a way to get people to embrace the way they think rather than constantly denigrating it. Reframing is everything. It’s the lens you see everything through, and it leads to feeling more hopeful.” Littman adds that counselors should change the focus of conversation from what the client can’t handle to becoming more confident in redefining what is really important. Medication is Littman’s final intervention, but she acknowledges that ADHD requires a multimodal treatment process. “It starts with psychoeducation, reframing, getting supports, changing your caseload, learning shortcuts, and then comes medication,” she says. “The ideal, of course, is to help women with ADHD recognize their strengths and have it become more reciprocal,” Nadeau adds. 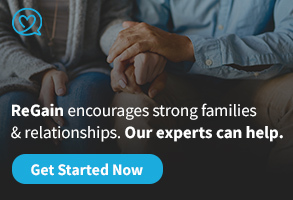 Educating the family about the condition’s true impact can assist in creating an ADHD-friendly home environment that supports needed lifestyle changes for the client such as getting good rest, exercising regularly and maintaining household routines. Nadeau also recommends that clients find outside support groups, limit exposure to people who don’t understand ADHD, schedule intentional alone time and delegate as many household tasks as possible.